HBIS has delivered 700tons of high end special steel to GROB Dalian Facility, replacing foreign steel to manufacture key components of world’s top RTCP, the bearings of high speed motors. 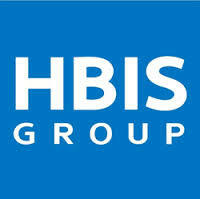 HBIS Wusteel is making a new breakthrough in high end machinery steel production. GROB Dalian facility is one of four major production bases of the world renowned RTCP manufacturer and its products are among the world’s top high tec and high precision equipment processing complex curve surface materials.